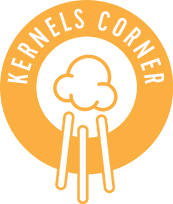 By Kernels Popcorn | Dec, 2015 | Tagged " Kernels Corner "
As we move forward into the New Year it’s beneficial to look back and take stalk of where we have come from. Talking stock should include asking ourselves the question: Do we really know what a Kernels customer thinks of us?? InMoment Inc. is an American cloud based “customer experience optimization platform” that asks those questions and provides businesses with the ability to listen to and engage customer feedback to help improve their business results. “Understanding your customers can be a difficult task. No one would blame you for feeling like they’re not always on your side. The truth though, is that customers are actually quite positive and helpful by nature. Customers are people who have chosen to “consume” your product or your service. They have already invested in your offering and gained some value from you, for which they are often thankful. They are not coming at you as a neutral third party; they are coming from the perspective of knowledge and connection. Of the brands surveyed, the study found that business’ perception of customers leaned toward negativity. In reality, the numbers reported by consumers skewed toward the positive. “Overall, positive comments outnumbered negative comments 3:2. In fact, in some industries, the ratio was closer to 7:1 in favor of the positive”. With a whopping 87% positive feedback given, the Apparel segment easily topped the list. The results of their Customer Experience Report did not touch on our specific industry. In 2016 we vow to learn more about our own customer preferences, expectations and opinions so that we too may better understand how we measure up. If you were to ask your customers how they would rate their Kernels experience, what positive feedback percentage do you think we would receive? Email your estimated percentage to: customerservice@kernelspopcorn.com and your name will be entered into a draw for a one (1) month free membership to GoodLife Fitness! And last but not least- here’s some of that Kernels Customer Positive Feedback…. An email from a fan! I just wanted to let you know how much we at VirNews EPS, enjoy your popcorn treats. We religiously purchase 4 or more mixture of bags every Friday for lunch. They are GREAT. Some weeks we order even more than just once a week. We have been doing this for 5 months now. I am sending you this email to say you guys are awesome and assuming you have executive chefs, I want them to know that they are doing a fantastic job. I am also writing to see if you have cool promotional goodies that I can surprise the guys with.